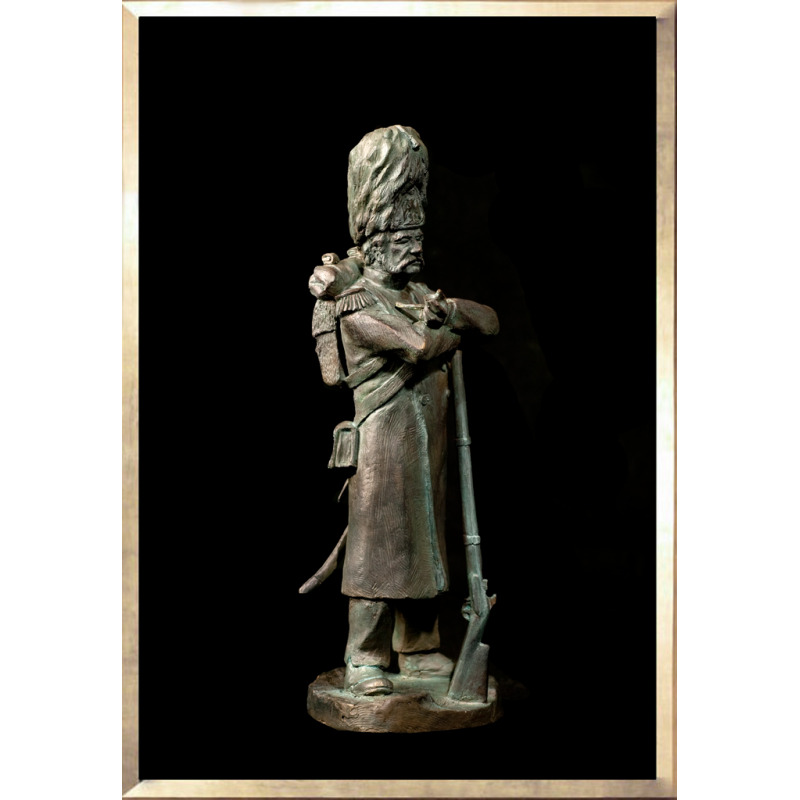 This beautiful figurine made out of resine, patinated in a "bronze-like" color, represents a Grenadier on foot of the Imperial Guard, more familiraly know as a "Grognard". His uniform as his pipe, his bearskin or her air ranfrogné are inseparable from the image left by these brave soldiers and are accurately represented. The object is not mass produced at the plant but to hand in a workshop, where a limited number of copies to 50. The unknown master artist behind this excellent performance comes from the training center of the Manufacture Nationale de Sevres, famous for its production of ceramic objects using traditional techniques and crafts. 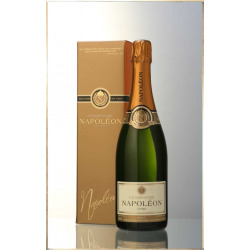 Historically, "Grognard" is the name given to soldiers of the Old Guard of Napoleon Bonaparte. They were the most experienced of the Grande Armée, but also the most loyal to the emperor, who had nicknamed them when they complained about their living conditions. Some of them followed Napoleon during his exile in Elba (1814). Painted or carved, the cult of the Emperor is so guarded, with these Grenadier guard sentinels.